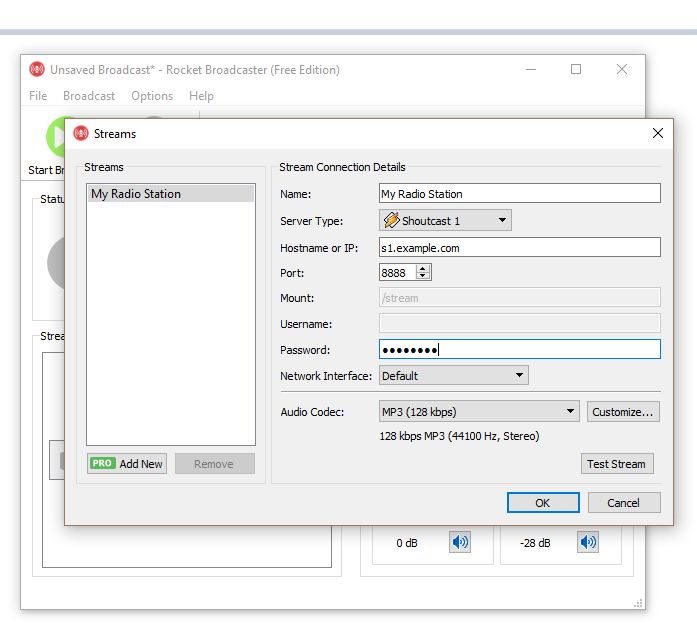 Rocket Broadcaster is brand new and we highly recommend it due to its simplicity, you can configure and start broadcasting in less than a minute with Rocket. 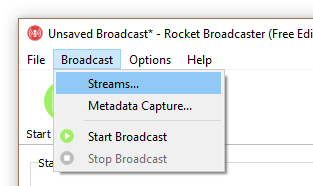 Unlike Altacast, Rocket comes with an MP3 encoder built in so you don't have to find additional files to install. 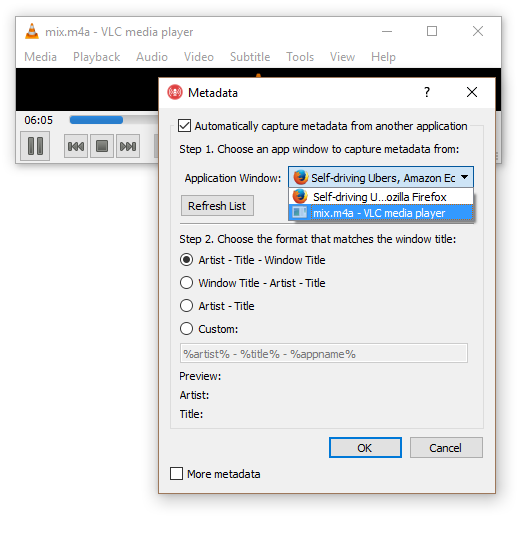 In addition, one of the things we really like about this is that you can capture metadata from any program - so no matter how you play your files (through a media player or even your browser), you can automatically capture the song titles without any complicated configuration. 1) Download from http://www.rocketbroadcaster.com/ and install the software as normal. 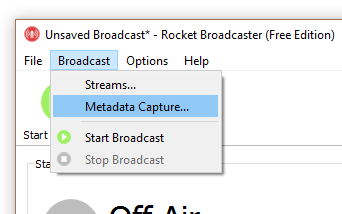 3) Fill in the stream details that we have provided you with - remember to select correct server type (most customers use Shoutcast) and enter your Hostname (Server Address), Port and Password. Click OK. The song title on your server will now automatically update when your player does.